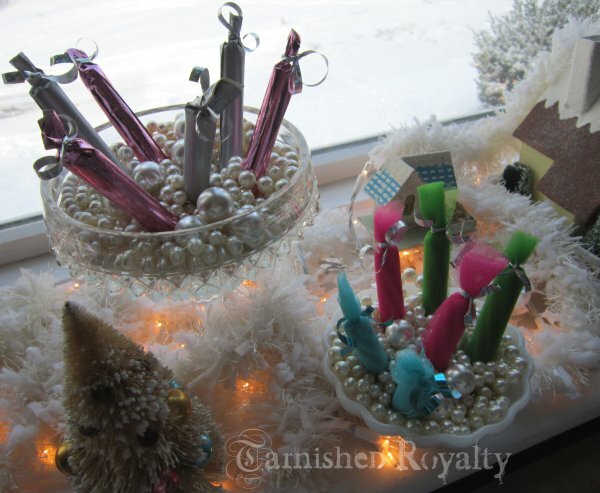 The twelve days of Christmas officially start on Christmas day so today is the 6th day of Christmas. I hope you had and are having a very merry one. 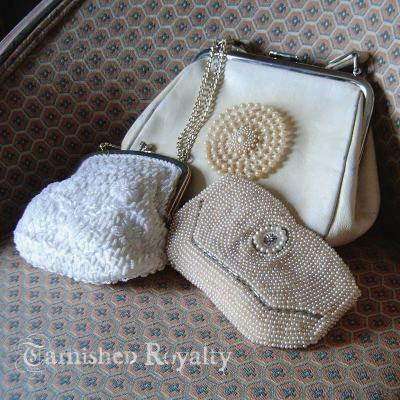 Welcome to Girls Want Pearls, where every Monday we take a look at pearls, their role in history and fashion and how we can repurpose them in our wardrobe and home. 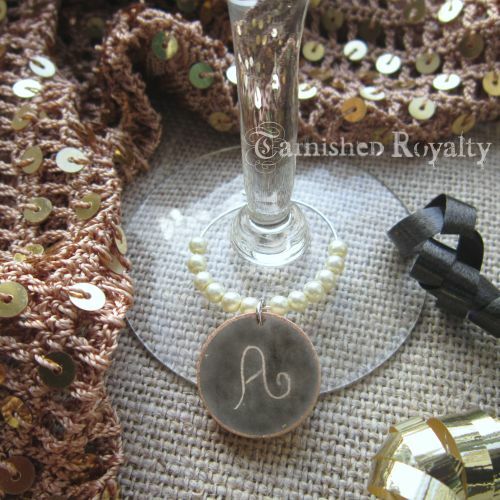 With New Year’s Eve one day away I thought it would be fun to make a simple charm for a stemmed glass. 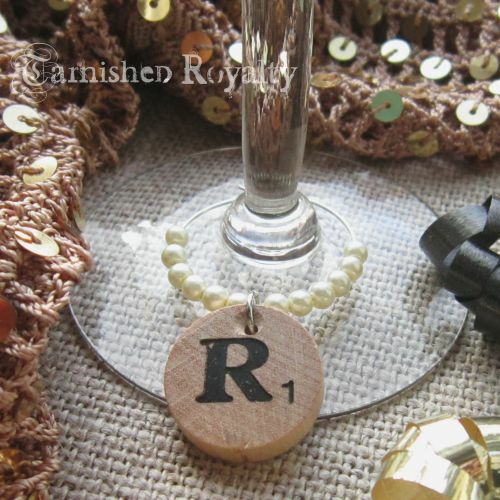 Wine glass charms add prettiness and sparkle to our festivities but what I love most about them is their practicality. I hate not knowing whether I’m grabbing the right glass or more importantly whether someone else is grabbing mine! Keep your hands off my drink ~ pretty please :). I drilled a hole in these game tiles, so every person can have their own initial. You could also cover a cap from a milk jug, water bottle or any small round or square item with chalkboard paint and write an initial or (tiny) message. 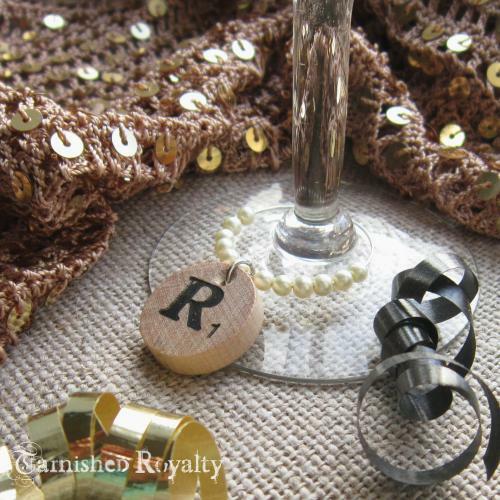 Now, fill that glass with champagne or sparkling grape juice and toast to the new year with courage and hopeful expectation of good things to come in 2014. Cheers! 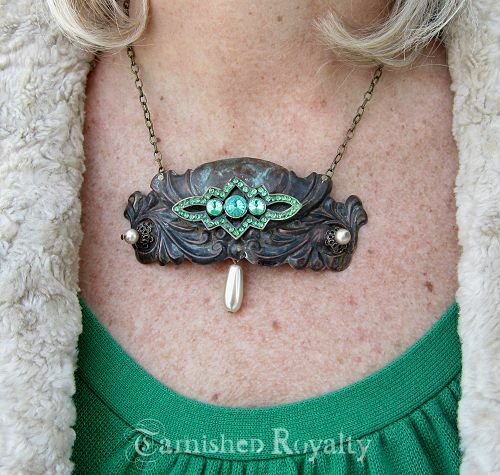 Love pearls and don’t want to miss any pearly posts? You can get a reminder, just fill in your info below and I’ll email you when a post goes live. It’s Christmas Eve Eve and I hope you are almost ready for all the festivities. My to-do list: Some last minute cleaning. Outfit coordinating. 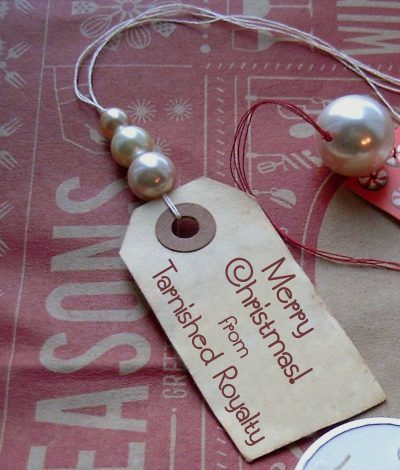 And most of all I still have some wrapping to do, quite a lot to be truthful. But no worries, I’ll put on a Christmas movie, grab a cup of candy cane coffee and wrap away. I probably have one and a half movies-worth of wrapping at least. Throughout the year I use gift bags for different occasions but for Christmas I don’t. Do you? 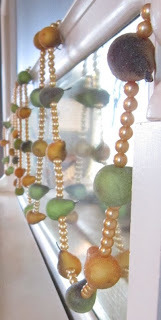 Today’s Girls Want Pearls isn’t a project, no one has time for that at this late hour! 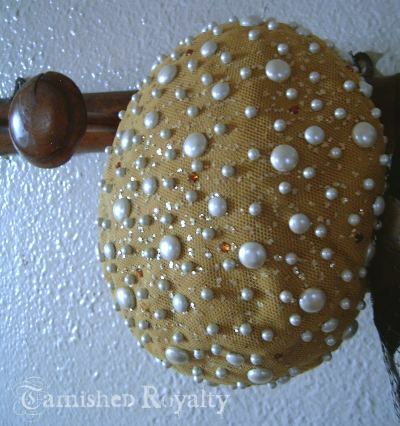 So I’m going to show you a few of my own personal vignettes and collections that feature pearls. 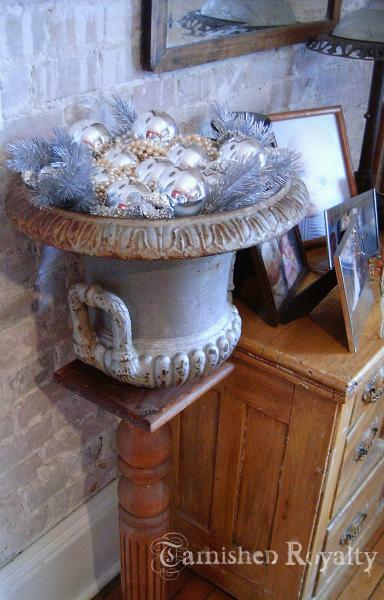 An urn full of ornaments and pearls in the living room. There I am in my jammies in the refection of the bulbs. 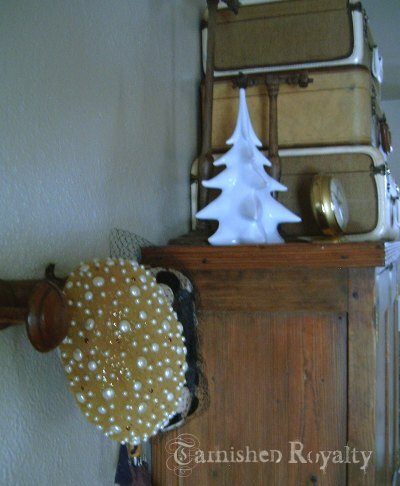 I will be showing a mini tour of my Christmasy house after Christmas, along with a reveal of our (almost) finished wine cellar. 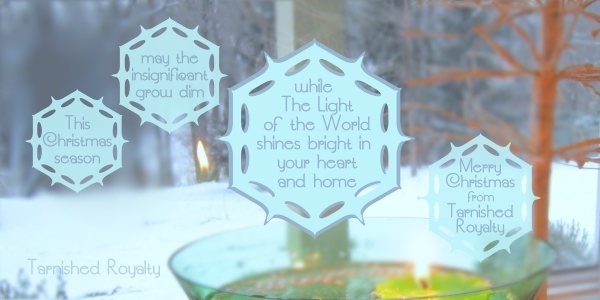 I hope you all have a very Merry Christmas, celebrating the beauty and wonder of Christ our Savior. 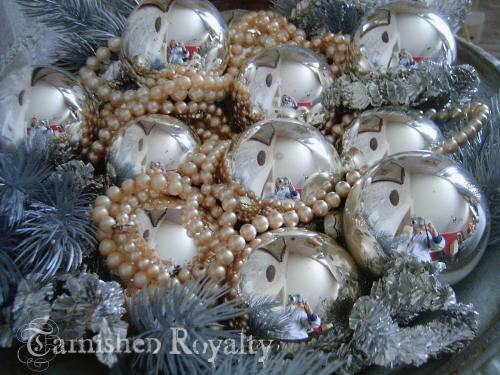 Next week’s hint: 10, 9, 8, 7, 6 . . .
Only 2 more Girls Want Pearls before Christmas! So of course today I decided to post something Christmasy. All of us are undoubtedly doing the same thing now or in the next few days ~ wrapping gifts. Oh what fun! 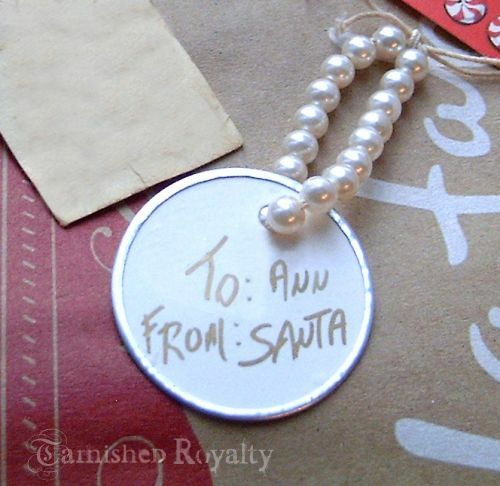 I have a very simple way to give your gift tags that extra little something with, you guessed it, pearls! 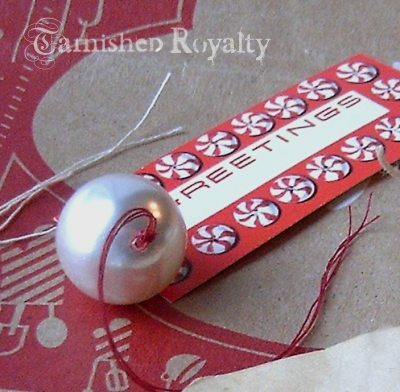 No instructions needed, just string on the pearls and watch your gifts get fancy. 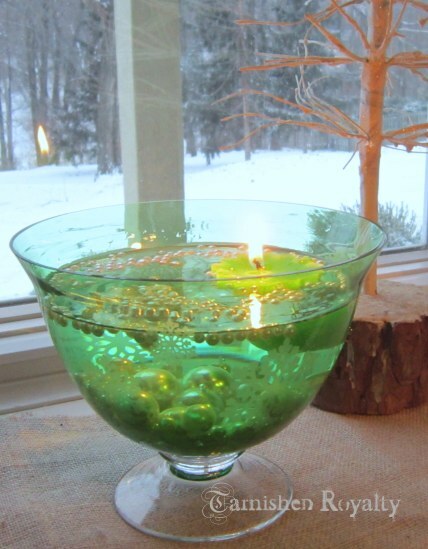 Have a great day and remember to give and soak in all the good will of this amazing season. I have a confession to make. I’m a coat-a-holic. 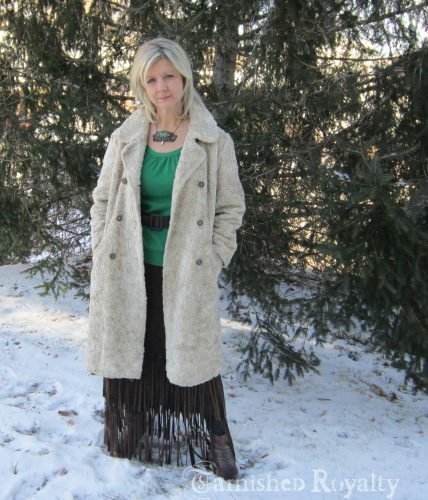 I have a lot lot of vintage coats, none of which I paid more than $25 for. So, many of my outfit posts for the next several weeks will feature coats. This is my second newest find. 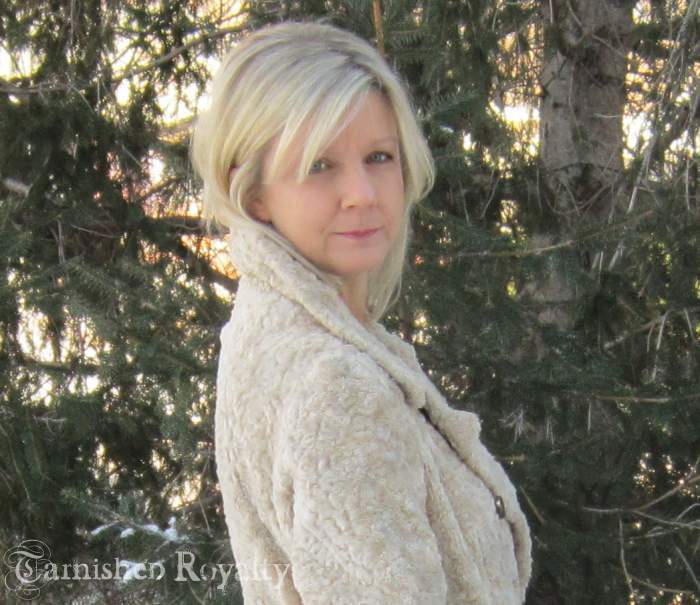 I bought this faux curly lamb coat at the flea market this past summer. Imagine a miserably hot day in August and a very, very heavy coat that had to be tried on. Well, I did it for the sake of fashion! I knew I would be glad I did when winter weather rolled around. 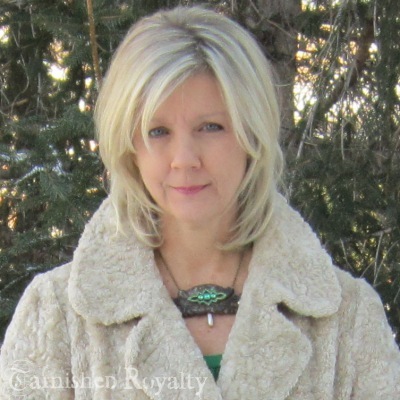 I love the blond color and the texture, not to mention the incredible warmth. My hubbs finds it amusing to take abnormally close up shots, so I’m humoring him in the above pic. 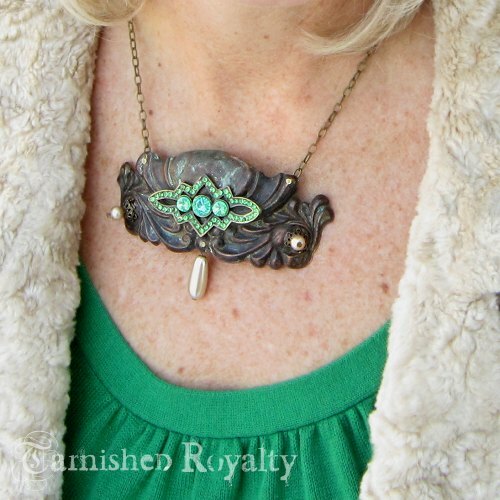 This one-of-a-kind necklace is available on my website and can ship before Christmas! 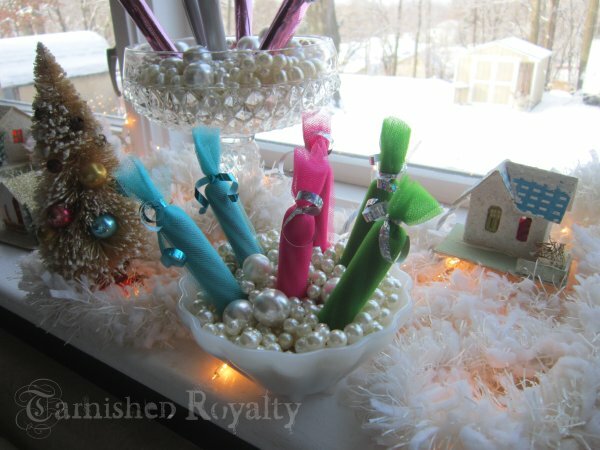 Welcome to Girls Want Pearls! Today I have some eye candy for you. 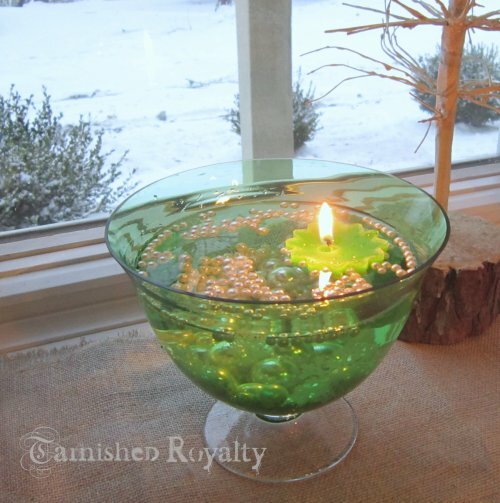 And what could be better than eye candy that involves real candy! 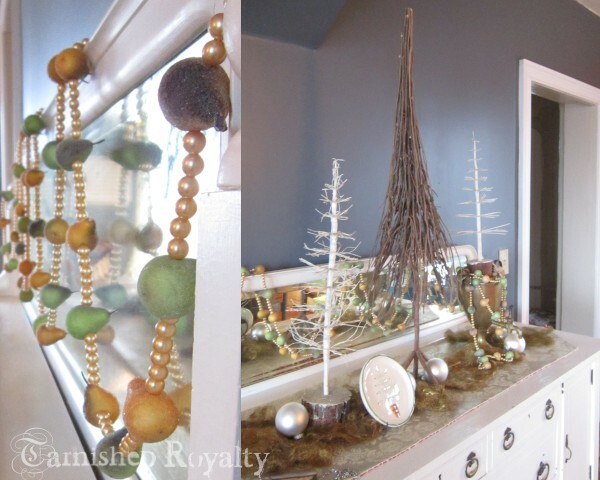 If you like quick projects, this one will make you sing. 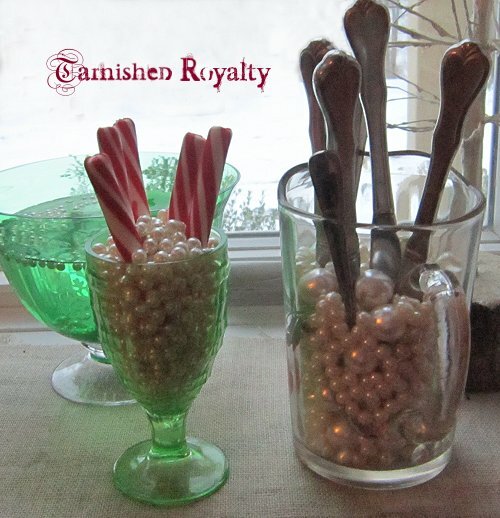 Just dump some pearls into your favorite candy dishes and stick in some candy for instant holiday glam. 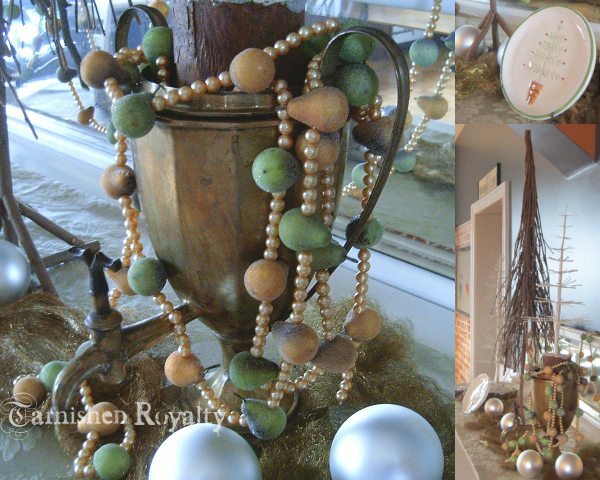 You can add even more pearls to your holiday buffet or table with a floating candle surrounded by floating pearls. Most pearls sink, especially the glass ones, but the really light plastic ones float. 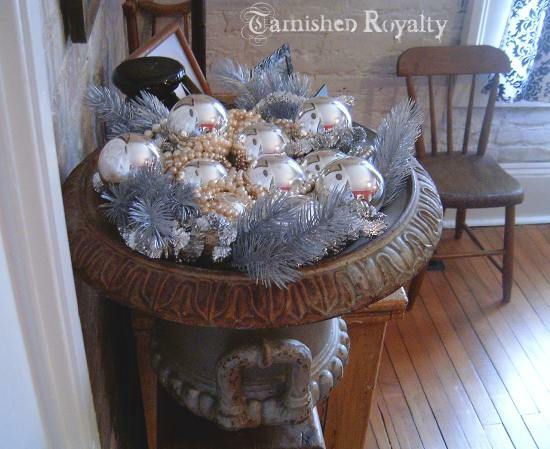 I used some floaters and some sinkers in this arrangement. 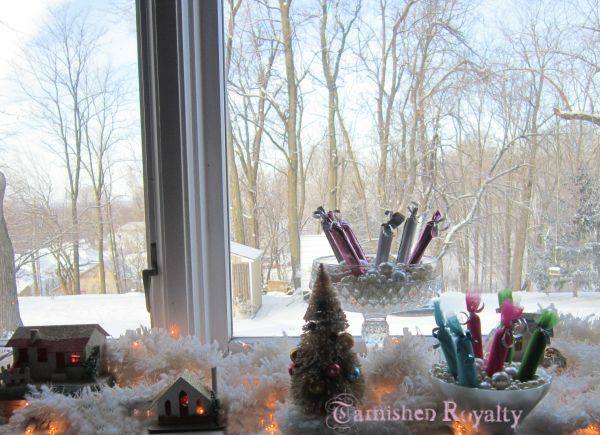 We got snow this weekend, just about an inch or so, enough to make it pretty. Did you get any where you live?